Right from conducting Energy audit, Identification of the Significant Energy Use, Documenting over 120 Operational control criteria for various equipments, Identification of Design of new equipments which would reduce power consumption by 45%, Introducing Green Procurement, Identification & Installation of Sub-metering, Calibration of instruments of Operational criteria, Checking Efficiency of HVAC, Delta T of Cooling towers and a whole lot of milestones to reach this stage of Internal auditing for ISO 50001 Energy management at this plant in Goa where the power consumption is over few thousand Megawatt per day !! ISO 31000 – Risk management standards were published keeping in mind that the clause on Preventive action will be sooner or later be obsolete. Since 2012 all standards being published be it ISO 22301, ISO 27001, ISO 9001, ISO 14001, ISO 50001-2019, ISO 45001 (yet to be published) Addressing risks has become an important part of all management system and is mandatory for organisations to carry out a Risk assessment using any kind of tool such as FMEA, PESTLE, SWOT. 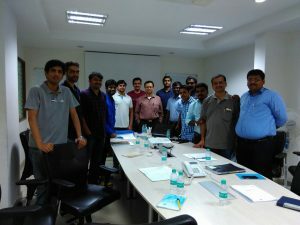 The training at HYCOM Engineers on ISO 31000 and Risk based thinking was carried out to all the team members. 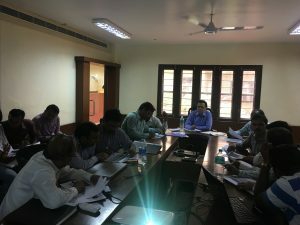 The Workshops have helped the team to understand the methodology to conduct the RA and also arrive at a decision method to reduce or eliminate the risks. 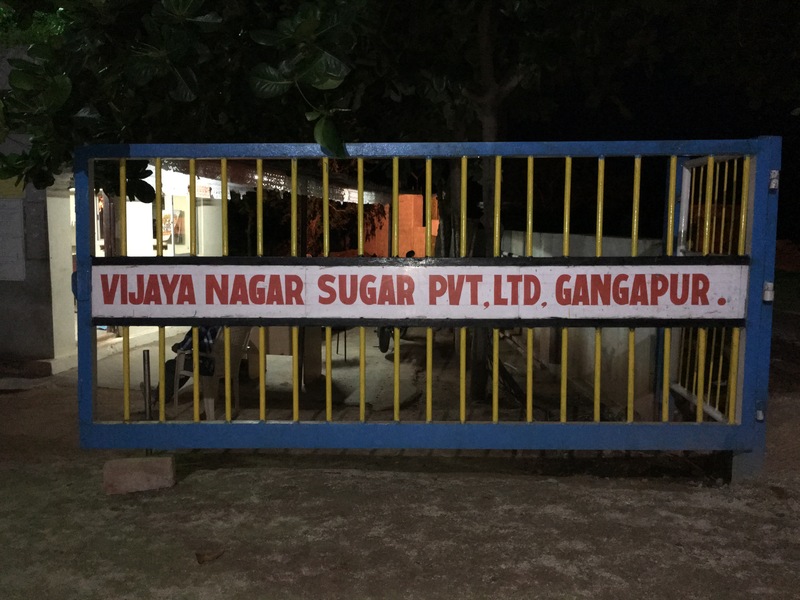 Vijayanagara Sugar Gangapura completes its FSSC 22000 Version 4.1 Consultancy and documentation project. The entire team of the plant was involved in preparing the TACCP, VACCP for the product right from the Cane until the sugar is transported to the customer. 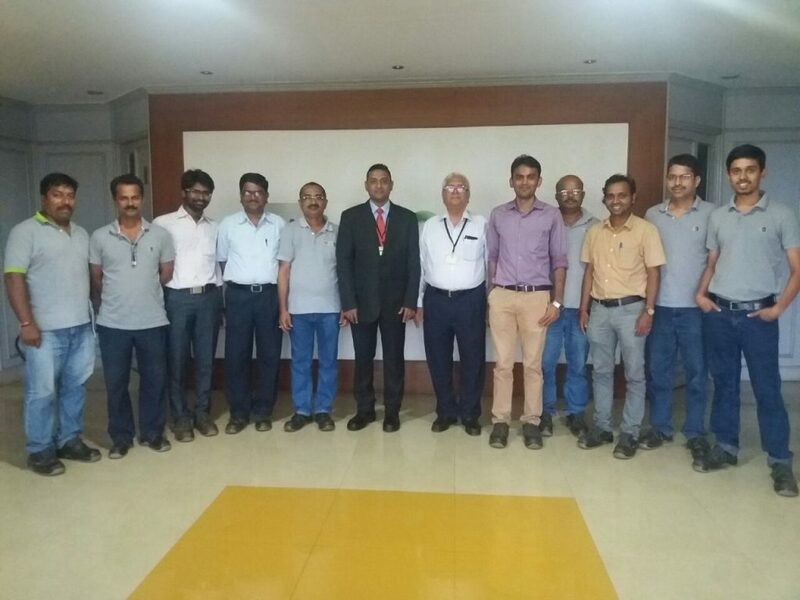 The changes from FSSC 22000 Version 3.1 to Version 4.1 were explained to the team and the team appreciated the effort by GQS to impart the training to the entire FSMS Team. The FSMS Team Leader applauded the smart way of preparing the TACCP and VACCP assessment workshop. 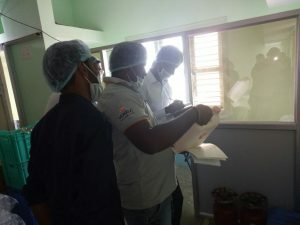 The workshop was very interactive and was tailor made to suit the sugar industry. Should you be interested in FSSC 22000 Version 4.1 certification or consultancy drop an email or call us on 9845313910 or 9845078743. 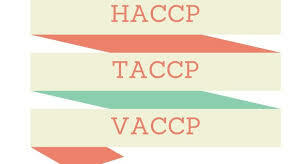 While HACCP helps you identify the scientific reasons to reduce Food safety incidents, TACCP and VACCP have different intent. TACCP – Threat Assessment Critical Control Point have been incorporated in many FSMS standards such as FSSC 22000 Version 4.1, BRC, SQF and many more in the form of Food defence mechanism. Threats foreseen or unforeseen from various sources such as Disgruntled individuals, Extremists, Opportunist, Cyber criminal, Extortionist are assessed and prioritised. This is also referred to Behaviour Motivated Adulteration. Top Priority threats are considered as Critical control point and treated or terminated using Protective controls. These controls have to be reviewed atleast annually or as and when an incident occurs. Guidelines such as PAS 96 can be used as a reference and basis to assess the threats and prioritise them. VACCP – Vulnerability Assessment Critical control point have also been incorporated in BRC, FSSC 22000 V4.1. Organisations who are certified to FSSC 22000 V3.1 and upgrading to FSSC 22000 V4.1 should ensure that a separate Assessment is carried out emphasising on Economically Motivated Adulteration EMA. All such risks are assessed and prioritised to ensure that appropriate Protective controls are established, followed with pre determined review mechanism. Step 5 – Conduct Risk assessment. Call 98450 78743 or 9845313910 to know further details about BA 9000 Body Armour Certification. Step 2 – Hire an approved consultant. Call 98450 78743 or 9845313910 to know further details about ISO 45001:2018 Certification. 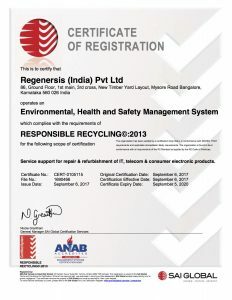 GQS is proud to announce that our client is now certified to the world renowned R2 Responsible recycling certificate provided by SERI approved and ANAB accredited certification body. The entire exercise took over 5 months for thorough R2 implementation, R2 in-depth training to core team, R2 Internal auditing, Management review based on R2 Requirements, R2 SERI Licensing and subsequent R2 Certification audit. The certificate is valid for 3 years and during which there would also be a visit by SERI to check compliance levels at the factory. Regulatory context for cosmetic ingredients in the EU and other parts of the world. International cosmetic legal and regulatory data base. 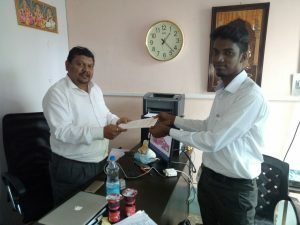 Process of certification to EFFCI. What to expect during a Cosmetic GMP audit for ingredients? How to address the expectations of auditors? Case studies to test the understanding of participants – How cosmetic GMP’s and applied in manufacturing context? Customer specific requirements shall be included after understanding the context of training and objectives. Introduction to IPAC-EXCIPACT, the standard for pharmaceutical excipients, the organization and functioning, its mission, vision and values. Regulatory context for Pharma excipients various regions across the world. International legal and regulatory data base. The ISO 9001:2008 standard, basis of Excipact standard – How to adopt QMS in a excipient industry? Publication, communication and on-going maintenance of the schemes, standards and guides developed. Process of certification to EXCIPACT. What to expect during a GMP audit for Excipients? How to address the expectations of auditors? 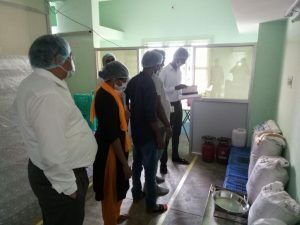 Case studies to test the understanding of participants – How GMP’s are applied in manufacturing context? FSSC 22000 Version 4.1 – What are the requirements ? GQS is always in the forefront to introduce the implementation of the latest standard being published. Be it the FSSC 22000, BRC IOP, BRC Production, ISO 22000, TACCP PAS 96, GQS becomes the first to join the band wagon in implementing and taking organisations through reputed and accredited certification bodies for successful certification. Jamakhandi Sugar one of the largest sugar plant in South India signs up with GQS to implement the FSSC 22000 Version 4.1 requirements. Introduction of the topic on Food fraud. 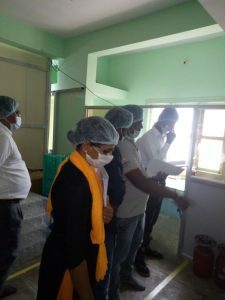 Organisations will have to implement a process to prevent food fraud and a thorough implementation needs to be demonstrated to curtail vulnerabilities. Introduction of surprise audits by auditor. No use of same third party auditor in surveillance audits. Two (2) surveillance audits will be unannounced and this decision lies with the third party assessing body. Catering, Retailing, Storage and distribution added in the scope for FSSC 22000 Certification. Certification to Version 4.1 mandatory post January 2018. Currently organisations can upgrade from the previous version to Version 4. Special Focus on ares of Threat assessment TACCP and Vulnerability Assessment VACCP. For FSSC 22000 Version 4.1 Consultant, FSSC 22000 Version 4.1 Certification, FSSC 22000 Version 4.1 Consultancy drop an email to SHAKTI@GQSINDIA.COM or call us on 9845313910 or 9845078743.